We’ve gone to green mowing. Because every year in the spring, the big machinery is back on line. Tractor, lawnmowers and cutters are back during the beautiful and sunny days to make the park all pretty in order to welcome our campers in the best conditions. 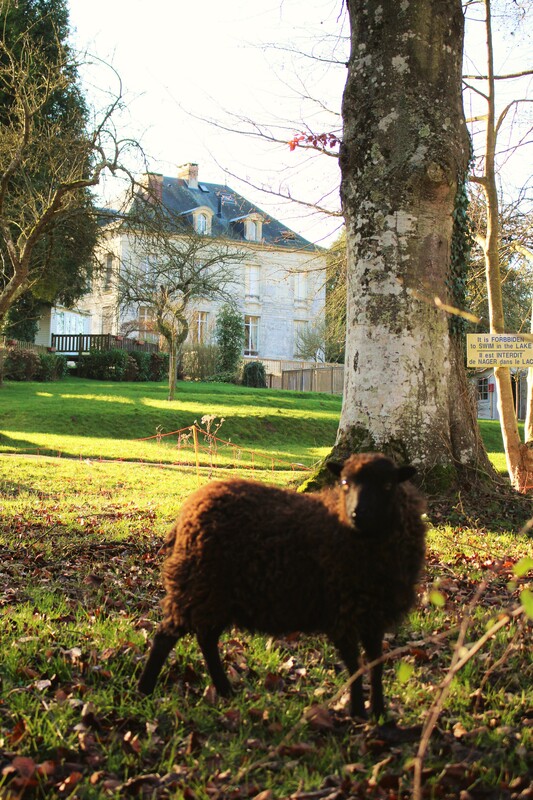 The sheep of Ouessant is native to Brittany, it is rustic, very often black, and is less than 50 cm in length. The sheep of Ouessant is one of the preferred breeds for grazing. This natural, environmentally friendly mowing method helps maintain biodiversity and reduce green waste while remaining educational and quiet …. or almost, because our three sheep love to communicate! For the little eco-logical story, Leon is among other things, a beekeeper, he lives only a few kilometres from the Camping to Le Faulq. It has an orchard in which it grazes whiskers, thus avoiding the use of weeders on apple trees. Not far from there, Leon installed hives that allow bees to feed on and pollinate apple blossoms, making apple trees more productive, thus avoiding the use of fertilizer.